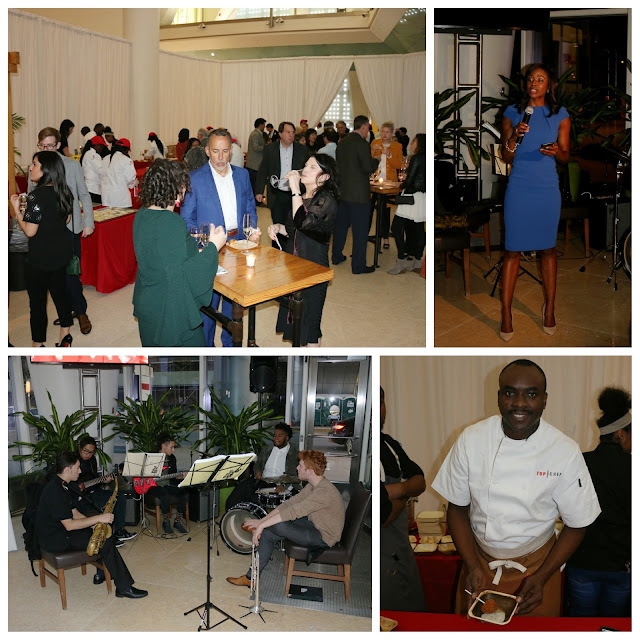 This past Monday, I stopped by the Cira Centre to attend the annual Careers through Culinary Arts Program (C-CAP) benefit. C-CAP is a non-profit dedicated to working with culinary high school vocational students throughout the Philadelphia region. Whether it's job training, scholarships, career or college advising, the program helps to ensure that these students thrive in the industry. 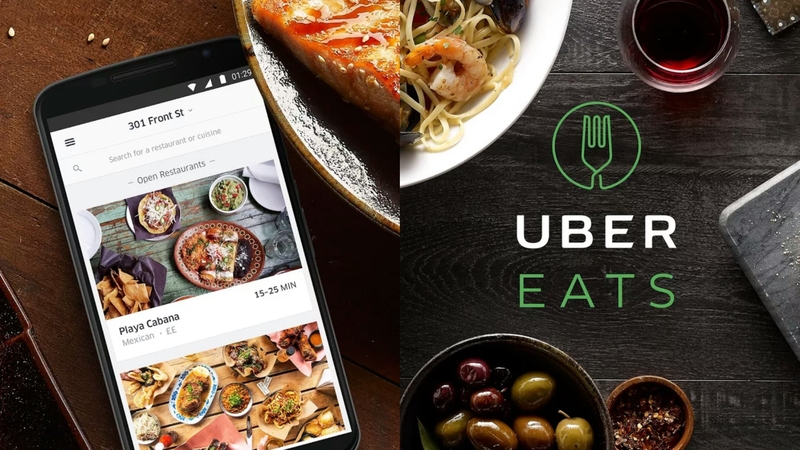 Renowned Chef Marcus Samuelsson is a Board Co-Chair. And did you know that Maison 208 chef Sylva Senat is a C-CAP alum and board member? Yes, the same chef who did Philly proud with his run on Top Chef. Coincidentally, Senat met Samuelsson while volunteering at a C-CAP event back in the day. Chef Senat notes that this was a particular turning point in his career when he was leaving Aquavit and was introduced by Samuelsson to his next adventure at Jean Georges. Along that vein, it was great seeing the C-CAP students prepping dishes with the Chefs at each and every station. 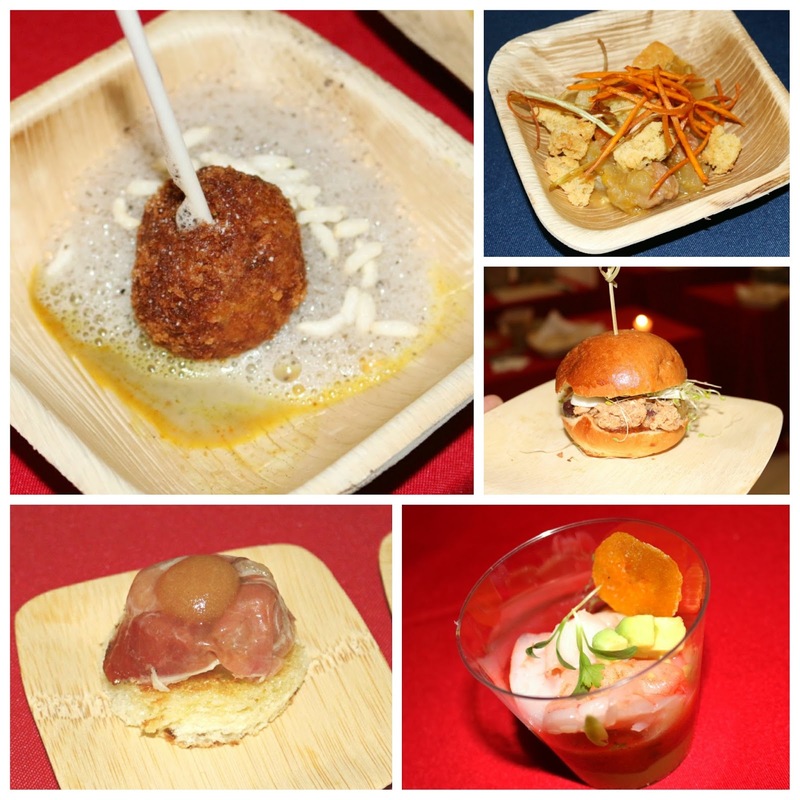 In addition to wine, cider, and cocktails being poured for guests at the Cira Centre, benefit attendees were treated to a flurry of tastes. Walnut Street Cafe's butternut squash soup offered a mouthful of fall, replete with some texture from the pumpkin seeds. JG Domestic's green eggs and ham had a bright acidity from the lime that had me going back for more. 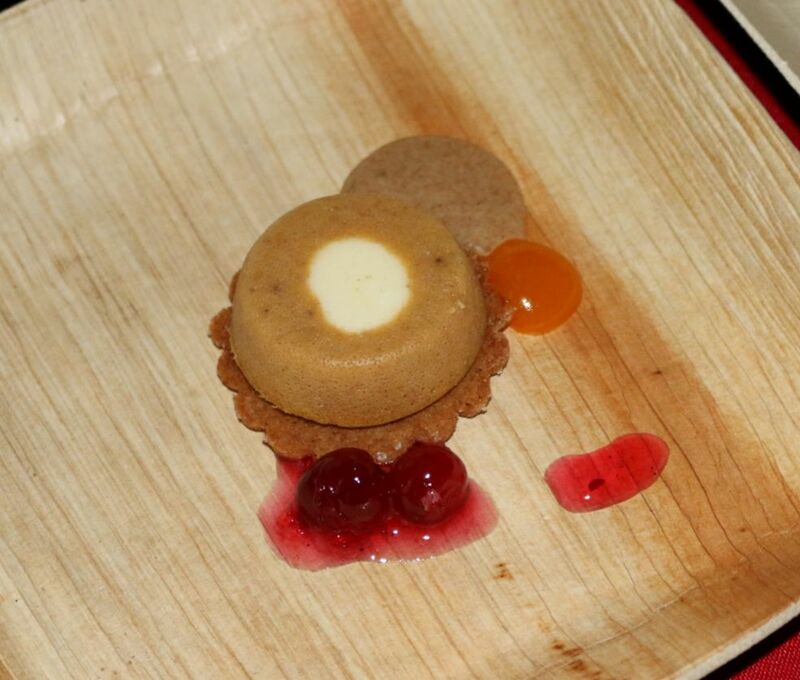 Speaking of seconds, it's no surprise that Chef Senat's lollipops were a crowd favorite. Served with a truffle emulsion at Maison 208, here, the crisp curry potato croquettes were balanced with taro. Osteria's chicken liver pate was a deliciously hefty bite, with a nice sweetness from the conserva on top. Certainly was nice to have Distrito's shrimp ceviche at the next station - light, bright, and acidic. For dessert, Creme Brolee (not misspelled!) offered up a trio. In addition to creme brulee in its expected form, they also had a sweet potato as well as a unique caramelized onion and blue cheese iteration. All bruleed to order by the C-CAP students! 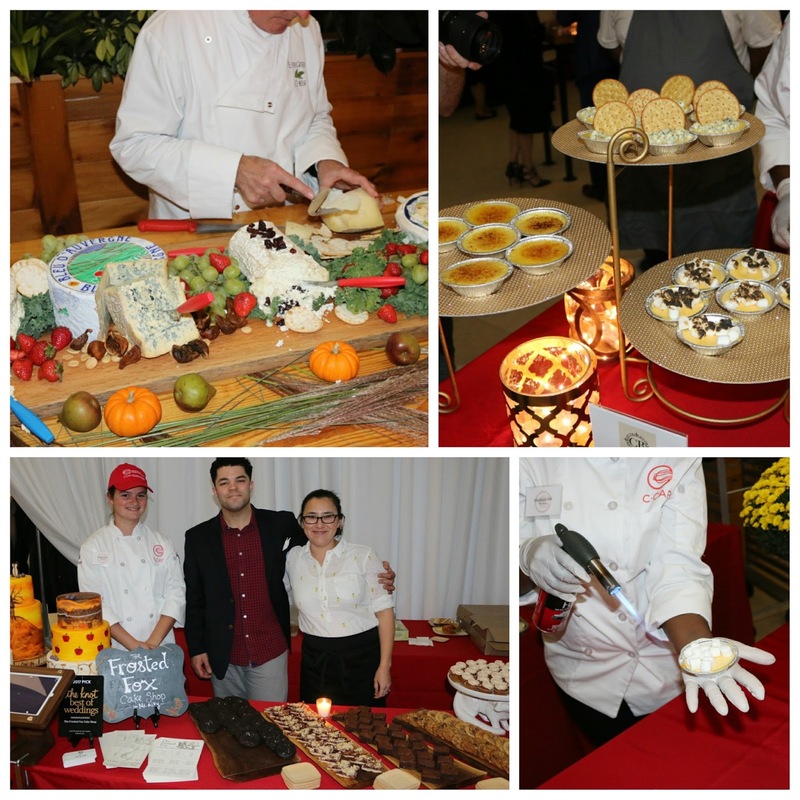 A gorgeous display of desserts from Frosted Fox & cheese from Evergreen helped close out the night. I'd be remiss if I didn't highlight R2L's great pumpkin spice cheesecake - a pure punch of fall flavor beyond your typical PSL. Supported by the speculoos cookie, the tang of the candied cranberries were a nice contrast to the bite. So be on the look out for next year's benefit. 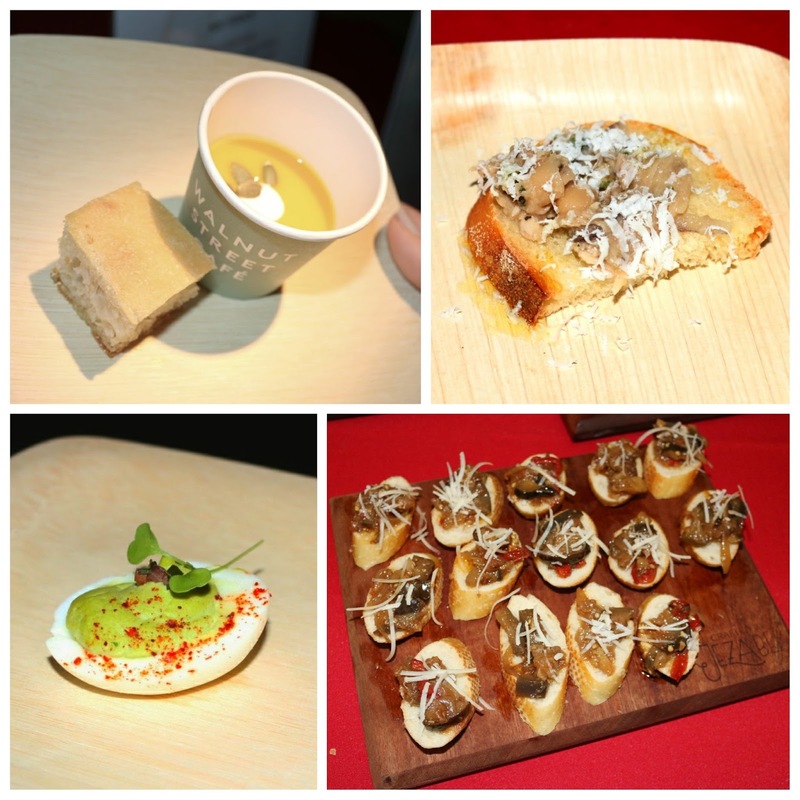 C-CAP supports the next generation of Chefs and industry professionals that you'll likely be looking to in the years to come.